“FIND A NEW JOB”, is that your 2017 resolution? If it is so, then let me congratulate you. You are lucky! It’s a job seeker’s market. THE TALENT WAR IS ON! Employers will value and freeze top talent as soon as they locate it. If you analyse last seven years data, unemployment is at its lowest in US. As per the study of the Bureau of Labour Statistics, the economy is adding more than 200,000 jobs per month. Does it mean the jobs are served on a silver plate? Are they going to walk towards you? No way! Those who are looking for a change must position themselves in a great prospect. Apply your entire job searching skills to bag uplift! Here at EresumeX you can find savvy job advice from our top career guiding blogs and visit recruiters for free. The virtual world called The INTERNET is an open book. 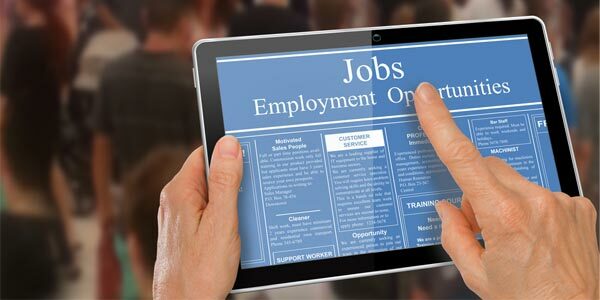 Everyone looking for a job change has all the dos and don’ts list on their screen. The real challenge is how to stand out in the mob? It requires that EX-factor. And EresumeX is the only job portal that offers an EX-factor. Here EX stands for professional Execution, best Example and Excellence. the experience of the EresumeX Professionals brings in that Extra knowledge, which helps their candidates to stand out in the mob. The only job portal, that focuses on every aspect of job search process. You can find many recruiters and job adverts for free. If you want to check latest trends in resume writing, go through our free resume database. Update your resume according to the current trends in the industry. Apply to your dream job. All this for free! Expert writers at EresumeX continuously update you with the current trends in the industry. Here are some important things that you can – and should – add in your job searching battle. Write a relevant and effective cover letter with keen study about the company, your skills and job description. For every job you must update the resume according to job requirements. Recruiters generally use ATS for short listing resumes; use appropriate keywords so that you reach the face-to-face round. Study the company background along with their recruitment pattern. Smart dressing and confident approach will half win the battle. Balance between ‘too much of talk’ and ‘less talk’ is important. Choose your words carefully. Let your words reflect your knowledge. Soft copies are trending. Still for convenience, keep one hard copy as well. Decide your commercials clearly. If you are flexible say so, but if you have any expectations tell it without hesitation. If given chance do ask some impressive and relevant questions. Here is a final advice for all you jobseekers! Make SKILL UPGRADATION YOUR NORMAL HABBIT! All the best!